In just 12 years, IGY Marinas has etched its brand name on a growing number of premier destinations in the Caribbean and the Americas, and built a strong reputation for setting new standards for service and quality in nautical tourism. It’s been an impressive journey, and with a new first-time destination in the south of France soon to be in the mix, the voyage takes a further twist as IGY prepares to take its expertise to Europe and the Mediterranean. 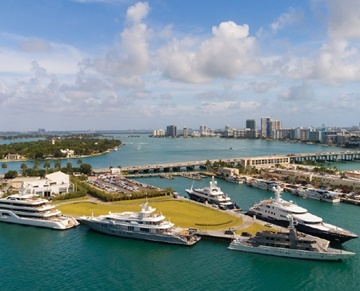 Based in Fort Lauderdale, Florida, IGY is one of the biggest international marina companies in the world and a leading point of contact for vessel owners and captains in the western hemisphere. The IGY network comprises 18 marinas in nine countries (USA, Colombia, Mexico, St Lucia, St Maarten, Panama, Turks and Caicos, Costa Rica and Belize) and the network expands to 19 when the new superyacht complex in Sète, France opens for business.